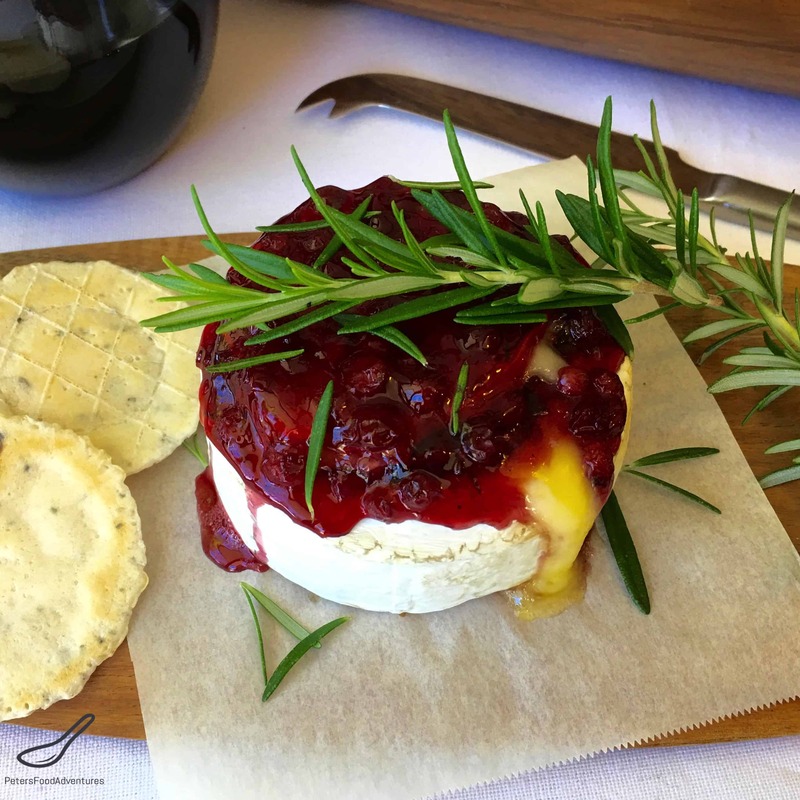 This easy Baked Brie recipe with Lingonberry sauce is a tasty appetizer, especially popular during the holidays. The best part is it only takes 15 minutes to make! You can make this with Cranberry Sauce as well. Lingonberries are common in Northern Russia and in Nordic countries. They’re similar to Cranberries, except Lingonberries grow in forests and cranberries grow in bogs. Lingonberries aren’t Cranberries, although often confused with each other. I think I prefer Lingonberries as they’re smaller and slightly sweeter than sour Cranberries. In Russia, Lingonberries are called брусника (brusnika) and are commonly used in a fruit drink called Mors (морс). This is the reference point to Lingonberries for most Russians. Most people I know think of Ikea when I mention Lingonberry jam. Their Swedish meatballs with Lingonberry is famous worldwide. 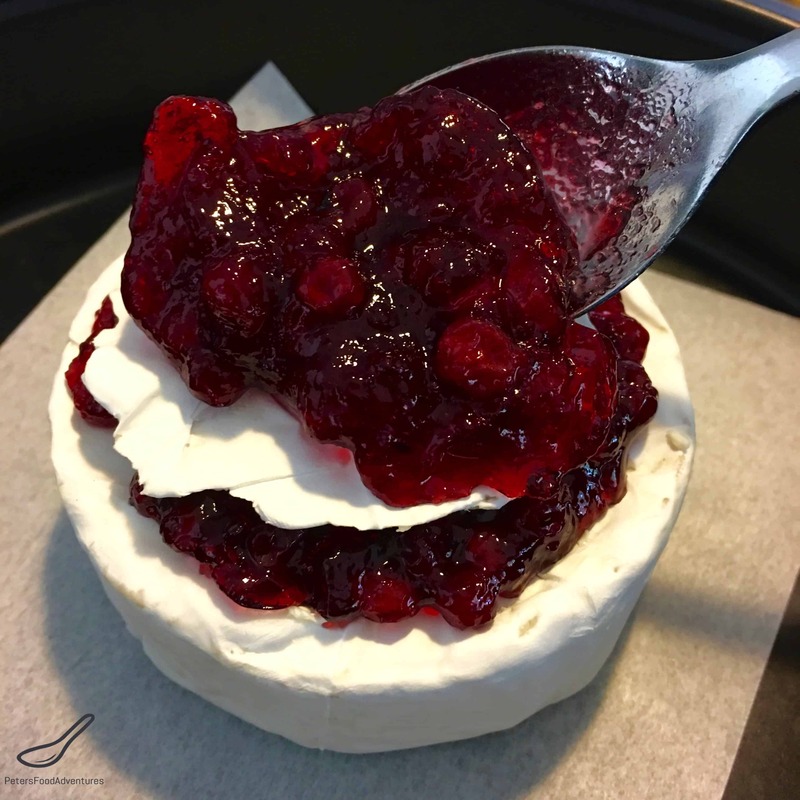 However, my favourite way to enjoy Lingonberries is with this appetizer, Easy Baked Brie with Lingonberry. You can buy Lingonberry sauce at Ikea, but I buy mine at Aldi when they release it closer to Christmas. It barely takes 15-20 minutes to prepare this dish and has a great wow factor. 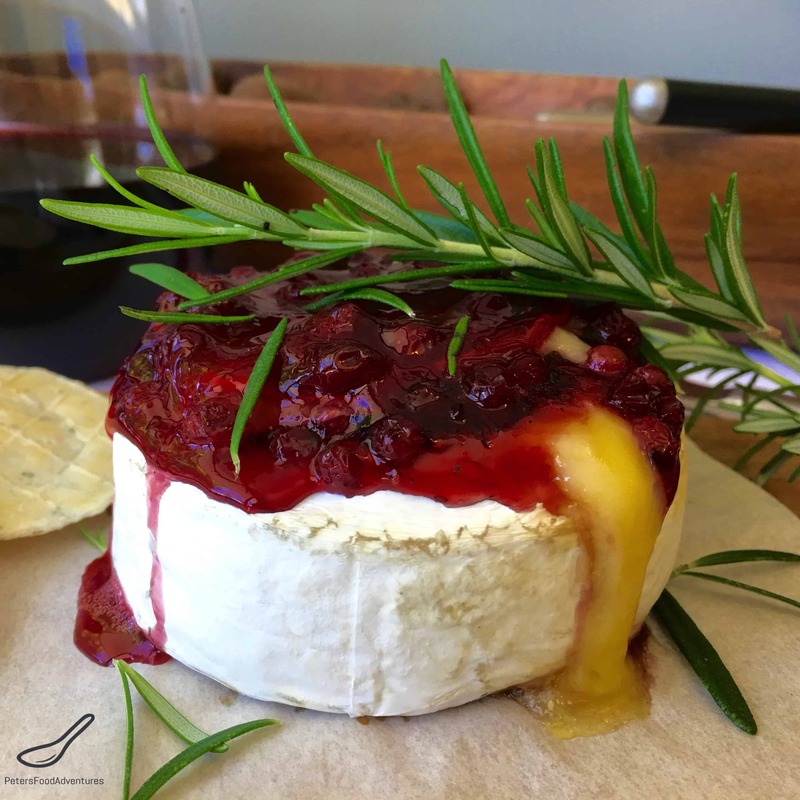 The gooey cheesiness of this baked brie recipe, mixed with the slightly tart Lingonberries, works perfectly as a festive treat. Perfect with crackers and a glass of wine. Bon Appetit! Приятного аппетита! 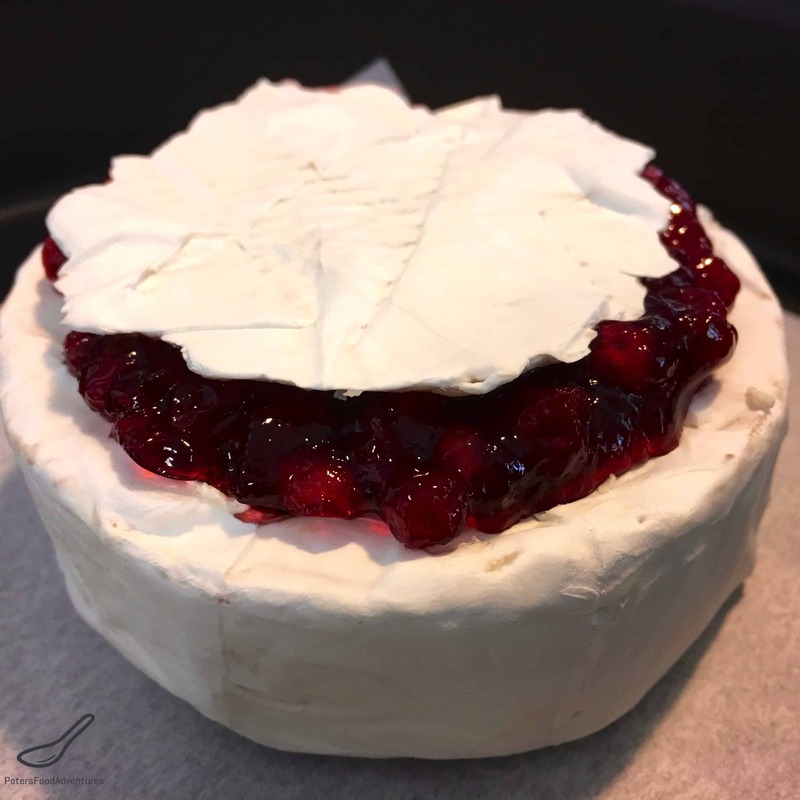 Baked Brie with Cranberry or Lingonberry Sauce (брусника). I love this classic holiday appetizer. Quick and easy to make, sweet and savory combined with melted gooey cheese. Line baking sheet with parchment paper. 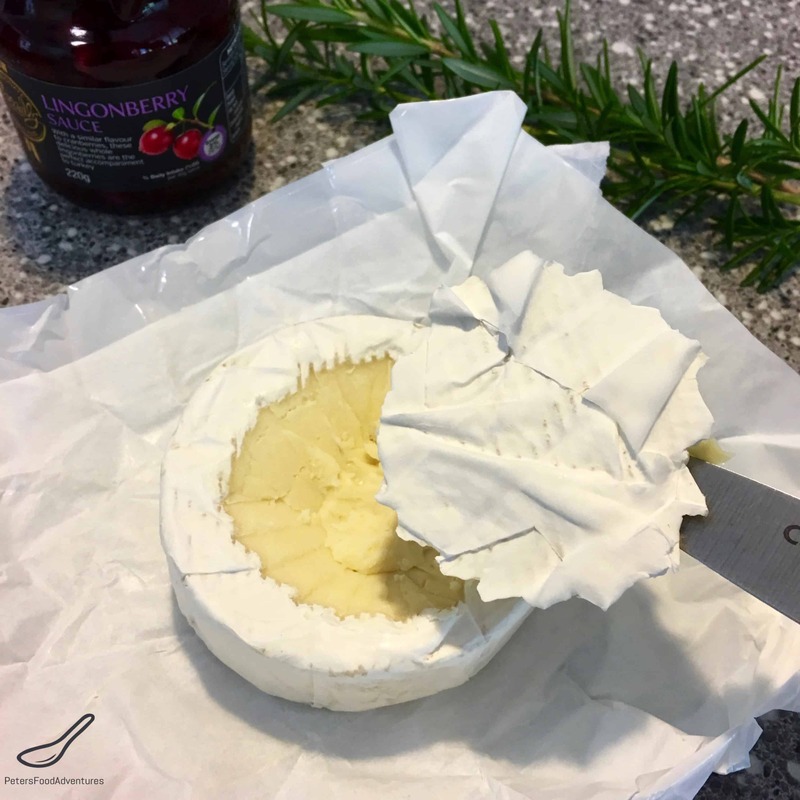 Slice a circle on the top of the brie, knife pointing downwards, creating a hole and an upside down cone of brie. Remove the brie cone lid and set aside. Spoon the Lingonberry sauce into the brie until full (leaving some Lingonberry sauce for garnish). Place the brie lid back on and spoon remaining sauce on the brie lid. Then place the brie not he baking sheet and bake in the oven for about 10 minutes until cheese starts to melt and bubble. Remove from heat, top with fresh chopped rosemary and serve with crackers. Thanks Lynne, I love gooey cheese! This looks really good! I’d love to try this! but not sure if I can get lingonberry jam – Ikea is far from my place…. Maybe I should use cranberry sauce instead…. Cranberry would work as well! ??? ?